Nephrology is the study of the function and diseases of the kidney. Most diseases affecting the kidney are not limited to the kidney itself, but are systemic disorders. Nephrologists diagnose and treat kidney diseases with various methods, including medication and dialysis. 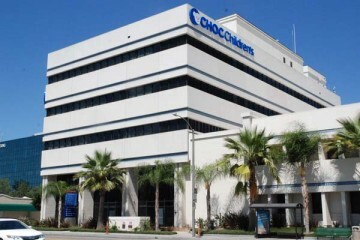 CHOC Pediatric Nephrology enhances the quality of life for children with kidney disease, providing a variety of inpatient and outpatient programs. Timely diagnosis and treatment covers all renal problems. And families are intimately involved, allowing at-home management of many complicated conditions. These highly trained and skilled pediatric subspecialists work collaboratively with primary care physicians and pediatric urologists, meeting the medical and surgical needs of children with acute and chronic renal disease. CHOC pediatric nephrology physicians serve as principal investigators on several national clinical research studies. To schedule an appointment with a CHOC Nephrologist, please call 888-770-2462.